Keep the peace is a new line of skincare from the very famous Philosophy, they have launched 3 skincare products which target redness and sensitivity. My skin always seems to always have trouble adjusting to the Autumn/Winter climate and then throw in the central heating it's a recipe for disaster. Luckily since using 2 of products from the range I've not experienced any problematic skin. 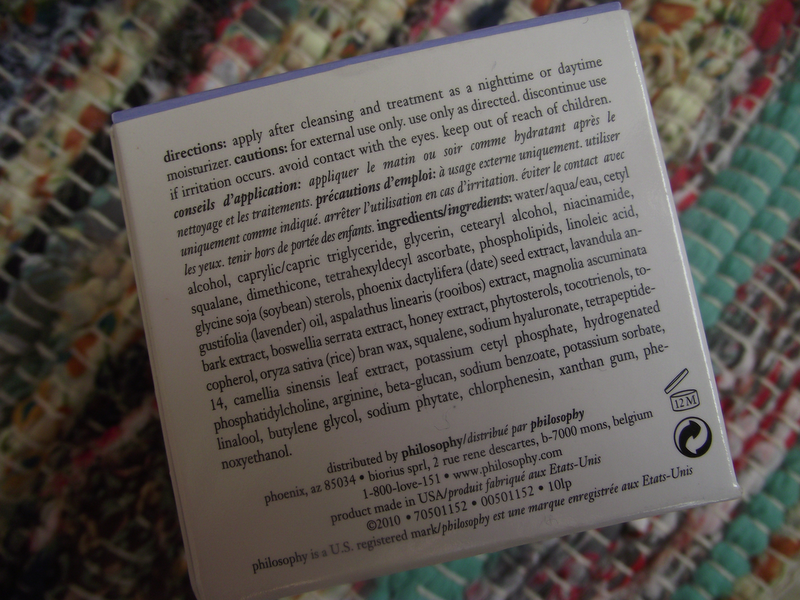 The packaging and colours used is very calming which is great and I love the little quotes which Philosophy are famous for on their products. Keep the peace Super soothing serum is so gentle on the skin it gives your skin a protective veil helping calm redness on the skin and irritation. If you have super sensitive skin or some form of sensitivity this would be a must for your skincare routine. The formula is a very light liquid not a greasy serum at all, I apply this every morning before applying Keep the peace super soothing moisturiser and it gives my skin an added layer of hydration and protection from the environment. Whether you're an early start commuter or an early mummy bracing the cold weather, rain and wind this would be great for all skins to add this into their routine. Keep the peace super soothing moisturiser has become my holy grail moisturiser for this time of year. As you can see from the photo below I've been using this every morning and love how my skin feels and looks. The scent is soft and not fragranced which is nice, surprisingly this is not a heavy thick formula but very creamy and hydrating which is perfect for my skin. I've noticed my skin looks more even and no signs of dry patchy areas which I hate. Whilst I'm not new to Philosophy as a brand this is the first time I've tried their products, the one product which always pops into my head whenever I hear about Philosophy is their best seller Purity Cleanser. Have any of you tried this? I love the the fact this can be used as an all-over cleanser for the eyes and face which is so convenient. There is also a facial mask from the collection which gives an instant soothing calming effect to the skin and also helps control dryness and irritation. Will you be trying Keep the Peace? I would love to try this line. With my acne at the moment, I have to stick to one thing but once it clears up (im praying it will), i would definitely try this out. I too have sensitive skin.